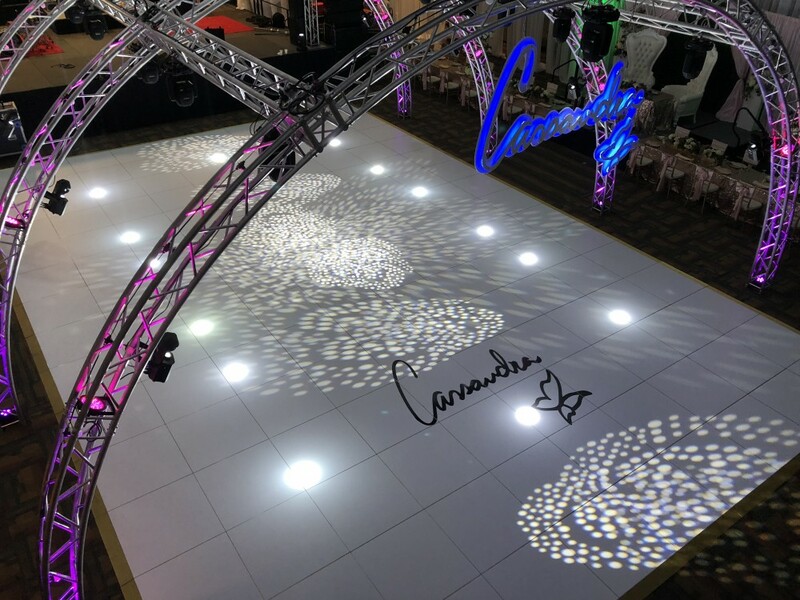 Our all-inclusive Quinceanera and Sweet 16 package gives you the ease of prepping and planning by allowing our professional staff, help you with all the fine details! 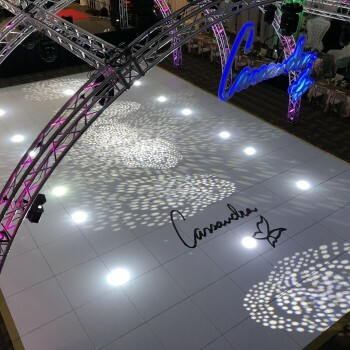 We have partnered with a local professional decorator Razzle Dazzle Event Decorating Inc. to provide our clients the opportunity to choose from hundreds of themes, color schemes, and styles. 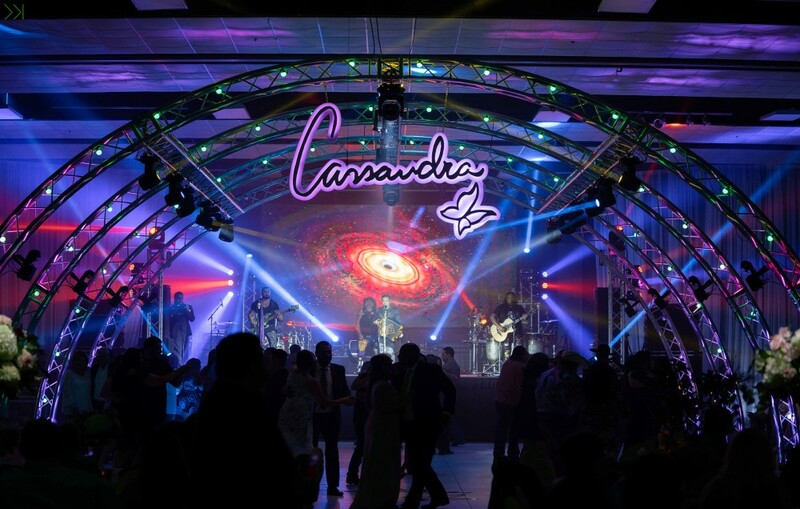 Our packages include event planning, room rental, In-House catering, setup/cleanup, and much more! 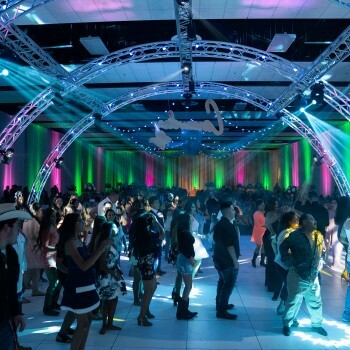 The Richard M. Borchard Regional Fairgrounds features a grand ballroom of 20,000 sq. ft. that can be sized down to a 5,000 sq. 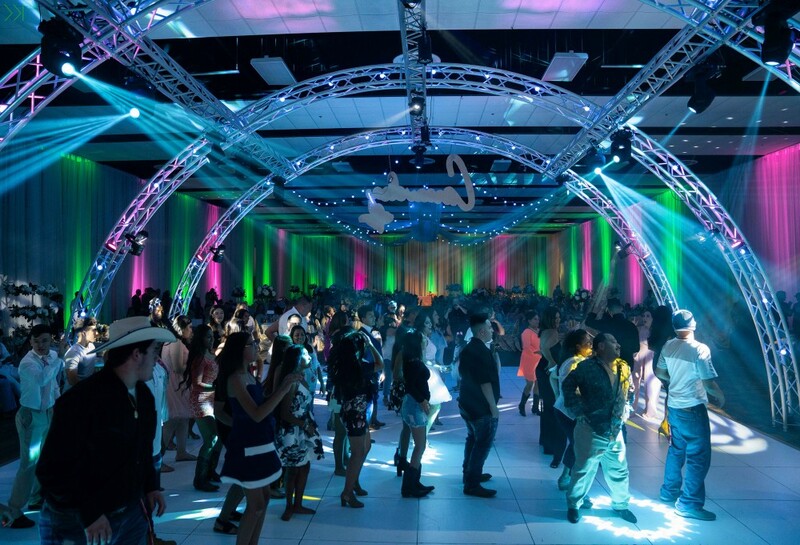 ft. (Ballroom A) or 15,000 sq. ft. (Ballroom B). Less than 20 minutes away from Corpus Christi, Texas, 15 minutes away from downtown Corpus Christi, and within walking distance of the Outlets at Corpus Christ Bay. Our In-House, full-service catering staff offers a variety of menu options sure to please you and your guests. Choose from our plated sit-down formal setting menu options, included in our All-Inclusive Wedding Packages. A tender breast of chicken stuffed with ham & a blend of three cheeses, slowly baked & topped with a white wine cream sauce. Served with roasted red potatoes & a fresh vegetable medley. Hot rolls & creamery butter. A tender filet of fresh Tilapia baked or grilled, topped with a mango pineapple chutney. Served with wild grain rice & a fresh vegetable bouquet. Hot rolls & creamery butter. Slow roasted pork loin, seasoned with spices & served with an apple brandy sauce. Served with roasted red potatoes & Haricot green beans. Hot rolls & creamery butter. Chicken Fried Steak or Chicken Fried Chicken with country gravy. Served with creamy mashed potatoes & green beans. Hot rolls & creamery butter. Ask our professional sales staff for more menu options. 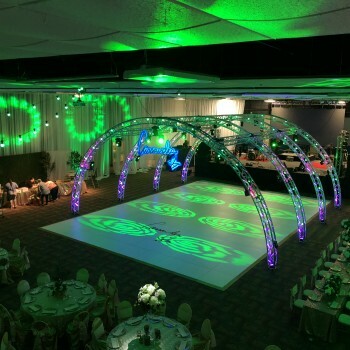 Make Your Party Grand and Spectacular with SKIP Entertainment. 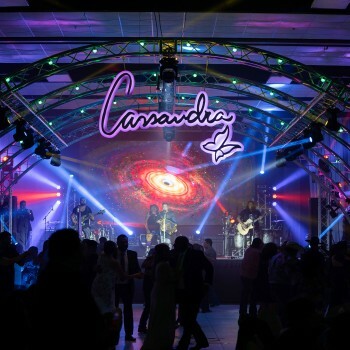 Add special effects to your party with lights, truss, music, video, photography, and much more! Call 361-549-3568 to get started! 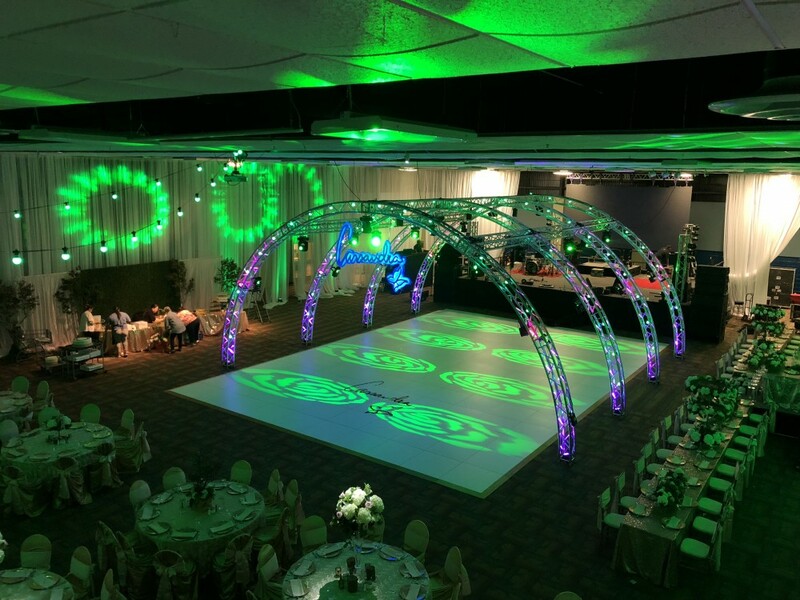 See below and experience how your party can look at our venue, with Razzle Dazzle Event Decorating, and SKIP Entertainment.